There's always cause for celebration at Robert Hall Winery! Bring your friends and join us for one of these fun events. Join us Sunday May 5th for fun and festive pick-up party! Try the new releases while you enjoy the Mônica da Silva a Brazilian American musician from 1-3pm. Vegetable Butcher will be here serving up fresh Tamales! Complimentary to members (2 guests). Want to to invite a friend? $35 per person. As the name implies, Vegetable Butcher combines thoughtfully sourced premium meats and sustainable seafood found within the bounty of Central Coast farmer’s markets. We offer vegan, vegetarian, and fresh ethnically diverse cuisine with a playful twist! Mônica da Silva, is a Brazilian American singer-songwriter and musician, performing both as a solo artist and as a member of the indie duo Complicated Animals. Da Silva's sound can be classified as International Fusion, as it is influenced by Brazilian music, namely Bossa Nova, but also incorporates elements of Lounge, Electronica, Indie Pop, MPB, and Worldbeat. Look for us at the Reserve Tasting Event downtown Paso from 4-6:30pm. We'll bring our limited-production Cavern Select line of wines for you to taste. 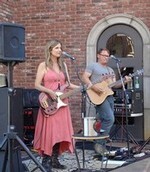 Or join us at the winery Friday night as we kick off our Summer Concert Series with local band - The Jammies - 5:30-7:30pm. Bring your dancing shoes and enjoy their classic rock, reggae, funk and R&B music stylings in the Courtyard. We’ll have wine by the glass or bottle, provisions, and our famous Frosé returns for the summer. Look for us in the park at the Grand Tasting from 12-4pm. Stop by and say hello to our winemakers and cellar staff – they will be pouring our latest vintages. Visit the winery to try our Frosé, a delightful cheese pairing or experience a cavern tour. You can bring the family to play giant chess, giant Jenga and other outdoor games. Wind down your weekend at the winery. Will Breman will be here performing from 1-3pm in the Courtyard. Experience his “live looping” technique where he plays back multiple instruments in real time. It’s fun to watch. Wines by the glass or bottle will be available. Don’t forget to ask about our wine specials for the weekend. It’s an excellent time to restock your cellar! 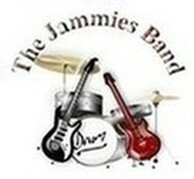 Local SLO county band - The Jammies - will be joining us. They play a wide variety of music, Classic Rock, Reggae, Funk, and R&B. Bring your dancing shoes, as they will surely get you dancing! Come join us in the Courtyard for wine, live music and local food! We'll have wine by the glass or bottle and our famous Frosé! Blending elements of jazz manouche, hot club jazz, swing, familiar standards, blues, and anything else that feels right in the moment! 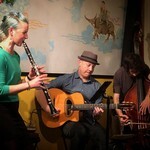 This Tipsy Gypsies spin off has Laura Foxx on clarinet, James Gallardo on bass, and Forrestt Williams and guitar. Come join us in the Courtyard for wine, live music and local food! We'll have wine by the glass or bottle and our famous Frosé! Help make a veteran's dream a reality this weekend. Robert Hall will be donating a portion of the weekend's wine proceeds to Honor Flight Central Coast. Make a wine purchase between the 25-27th and you'll be helping local veterans visit memorials that were built in their honor. You can have fun wine tasting and know that you're helping a great cause. We hope to see you there! An exceptional guitarist and eclectic singer-songwriter, Ricky Montijo performs original music in the genres of Soul, Rock, Latin, Blues, Pop, and R&B. Originally from Frazier Park, California, Ricky crosses all genres which makes him the artist to watch! Come join us in the Courtyard for wine, live music and local food! We'll have wine by the glass or bottle and our famous Frosé! The Paso Wine Man band will be here playing their unique style of jazz, rock and all the classics. This local group will get you out on the dance floor. Come join us in the Courtyard for wine, live music and local food! We'll have wine by the glass or bottle and our famous Frosé! Bear Market Riot is Power-Folk Americana from the California Central Coast. A duo blending everything from folk to R&B into an infectious sound that could only come from two bearded men playing seven instruments while keeping the dance floor satisfied. Nordby and Motil captivate audiences of all-ages with tight harmonies, catchy originals, and an arsenal of high-energy originally interpreted covers. Come join us in the Courtyard for wine, live music and local food! We'll have wine by the glass or bottle and our famous Frosé! Local Band, The Dan Curcio Duo, will be here performing their uniquely soulful blend of California inspired rock, folk Americana and blues. Enjoy their positive vibe in the Courtyard with wine, live music and local food! We'll have wine by the glass or bottle and our famous Frosé! Based on the Central Coast, The Jolon Station Band (JSB) plays from the heart with a unique brand of rock and roll with a country feel. The band introduces original material as well as a fresh take on some classic favorites. Influenced by the music of Merle Haggard, Tom Petty, Jerry Jeff Walker and the Grateful Dead, JSB brings an exciting down home show to our guests. Bring your dancing shoes! Come join us in the Courtyard for wine, live music and local food! We'll have wine by the glass or bottle and our famous Frosé! Burning James and the Funky Flames will be joining the party and playing their high energy funk and sweet soul for our guests. Bring your dancing shoes as this band aims to get you on your feet and grooving! Come join us in the Courtyard for wine, live music and local food! We'll have wine by the glass or bottle and our famous Frosé! Local coastal band, Rough House, will be playing a mix of classic country, hippie music and Americana. This band's goal is to leave everyone with a big smile on their face. Come join us in the Courtyard for wine, live music and local food! We'll have wine by the glass or bottle and our famous Frosé! This husband and wife duo – Carol and Terry Belmore - are beautiful story tellers. 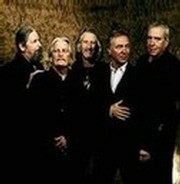 They craft their sound with a combination of styles and lots of original material. Come join us in the Courtyard for wine, live music and local food! We'll have wine by the glass or bottle and our famous Frosé! The Tipsy Gypsies play a blend of vintage Pop, Blues, and Jazz. The group consists of vocalist Hilary Langdon, guitarist Forrestt Williams, saxophonist/clarinetist Laura Foxx, bassist Brian Lanzone, drummer Daryl VanDruff, with additional vocals provided by the talented Reese Galido. Come join us in the Courtyard for wine, live music and local food! We'll have wine by the glass or bottle and our famous Frosé! 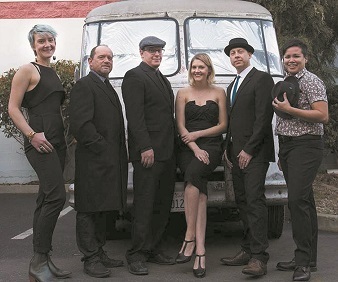 This energetic versatile band from Los Osos is known for creative original music and covers by classic and contemporary rock, blues, soul and jazz artists. Their funky blues will get you in your dancing shoes. Come join us in the Courtyard for wine, live music and local food! We'll have wine by the glass or bottle and our famous Frosé! The Martin Paris Band plays a variety of music genres including Classic Rock, Pop, and Country. With a fun and energetic song list audiences find the music upbeat and danceable. Their music offers a variety and something for everyone to enjoy. Come join us in the Courtyard for wine, live music and local food! We'll have wine by the glass or bottle and our famous Frosé!